Responsive Magento theme TravelGear is best suited for outdoor activities clothing and traveling gear stores, but you can use this eCommerce theme for any kind of online store template. TravelGear comes up with an wild and energetic appearance with slick and professional functionality. This theme comes up with a space for blogging. 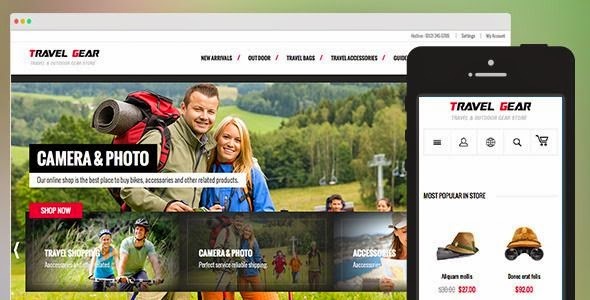 Item Reviewed: TravelGear Awesome Responsive Magento Theme 2015 9 out of 10 based on 10 ratings. 9 user reviews.